A couple of years back, as the Bluetooth speaker market exploded and everyone seemed to have figured out a way to make and sell one for cheap, companies turned to parlor tricks to try and standout. One of the tricks that seemed to stick for 3 minutes was this idea of a floating or levitating speaker. Lesser known companies were some of the first to give it a shot, but now in 2017, LG will do the same. 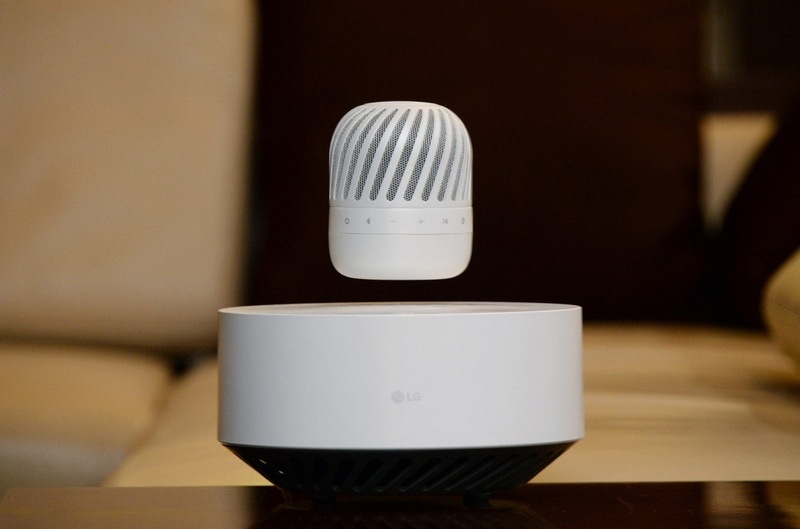 LG’s new speaker is fittingly called the Levitating Portable Speaker (model PJ9). Like previous floating speakers, LG’s uses “powerful electromagnets” to create the floating experience. That means you have a semi-large base with magnets and other components that allow a 360-degree speaker to float as it plays tunes. Again, the concept is not at all new, but LG is the biggest company I can think of to produce one. Also, LG’s levitating speaker stands out a bit because it’s portable (at least the press release acknowledges it can be moved around, even to the outdoors). LG claims that it houses a 10-hour battery life that wireless charges through the base. It’s rated IPX7, so it should be able to handle almost any weather condition. You can also attach up to two Bluetooth devices at a time. We don’t know pricing, but the current crop of levitating speakers starts at around $100, like this cheesy looking option from Amazon. We’ll be sure to take a look at it during CES next week. Question: Get Any Sweet New Tech Toys for the Holidays?